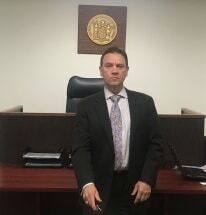 For more than two decades, individuals and businesses in communities throughout northern New Jersey and the New York City metropolitan area have been turning to the Law Office of E. Gregory M. Cannarozzi, in Oradell, New Jersey, for sound legal advice and quality representation. Attorney Cannarozzi understands how important your legal matter is to you and promises responsive communication and confidentiality. His law firm has earned a reputation for successful case outcomes through strong client-attorney relationships. A hallmark of the firm's reputation is his willingness to keep his door open to clients at all times. Attorney Cannarozzi also represents clients involved in no-fault arbitration matters in New Jersey and New York. General office hours for client consultations are Monday through Friday 8:30 a.m. to 6:30 p.m. Weekend appointments are available by special arrangement.